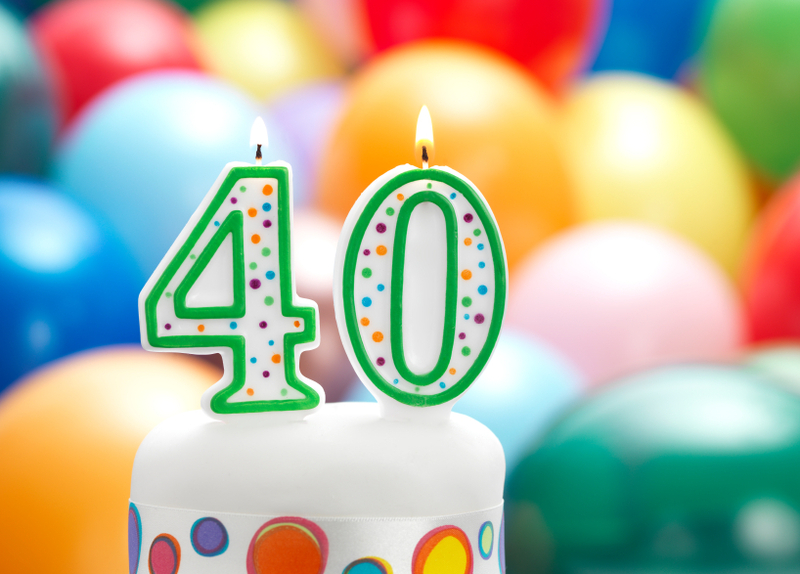 It is often said that life begins at 40. For many people, the 40’s are a time when there is a slight lull on the fast pace of life, with almost independent children, a stable income, and more or less predictable, routine family life. For many reasons, when we hit our 40th birthday, it is a good idea to reflect upon one’s health, and chalk out a plan for the years left to live. An awareness of what diseases you are prone to, because of your family history, is an absolute necessity all through your life, but more so as you hit your 40th birthday. Dr. Sandra Fryhofer, an internist at Piedmont Hospital in Atlanta, says that this is the time when you have to check, if you have not done so earlier, if you are genetically at risk for diseases such as cancer or heart disease. For example, those with a family history of heart disease can take a calcium test to find out if your arteries have begun to harden, and whether you need life style changes or medication to reverse the process. Similarly, those who have a family history of breast cancer are advised to maintain healthy weight, avoid alcohol and smoking, and to exercise regularly. Such women may have to go for an yearly mammogram, and if necessary, MRI (Magnetic Resonance Imaging). According to Fryhofer, 40 is an age when your vision starts to decline in quality. She suggests wearing sunglasses to prevent too much sun damage, which can encourage early cataracts. Apart from this, muscular degeneration can occur, which is a major cause of blindness in elderly people. In America about 9.1 million people over the age of 40 are affected by this. A spokeswoman for the Academy of Nutrition and Dietetics, Heather Mangieri, suggests a diet rich in vegetables and fruits to slow down the vision loss process. It is common to see that as people hit their 40’s, their intellectual development reach a plateau, as they simply do not learn anything new, and just follow a routine that does not challenge them. It is no wonder that more than half of the 85 year olds worldwide show some form of dementia. However, it does not have to be so. According to the latest brain research, the human brain can be developed throughout one’s life, and it helps avoid memory problems. Bryan James, an epidemiologist at the Rush Alzheimer’s Disease Center in Chicago, says that the decline in brain power causing diseases such as Alzheimer’s disease is not a pre-destined process for human beings. The key is to do mental exercises such as crossword puzzles, lead an active social life, and to take nutrient-rich food. As metabolism slows down around age 40, there is no need to fill up on calories. Fewer calories will do, but fibre and fluids intake should be the same, if not more. “Make sure that our daily eating plan is packed full of nutrient-dense food, like lean protein, fruits and vegetables and low-fat dairy and whole grains. Those items are important through all the stages of life, but as we get older, we want to make sure we maintain those high-nutrient foods even though our caloric needs are less,” Mangieri said. About one percent of muscle is lost every year, starting at the age of 40. Therefore, the 40’s is a good time to start weight bearing exercises, along with cardiovascular exercises. Mangieri suggests simple bicep curls using some weight, even if it is cans of soup. Loss of flexibility that is the hallmark of old age can be less of a problem if specific regimens of pilates or yoga are added to daily routine. Other than improving flexibility, these improve core strength, range of motion and balance. Thus, even though older, people can enjoy doing the things they have loved to do all through their lives. Less of alcohol, and a complete stop to smoking. Add to this a habit of drinking lots and lots of water, and getting as much sleep as possible. Dr. Elizabeth Jackson, an assistant professor at the University of Michigan asserts that cleaner habits will go a long way in preventing a host of diseases including cardio vascular disease and stroke. The key is to get professional help, in getting rid of habits such as smoking and binge drinking. Keep a check on important numbers. Body weight, blood pressure, Body Mass Index, body fat percentage, cholesterol levels and blood sugar need to be checked every once in a while, and carefully noted, to monitor any increase or decrease. This may mean the difference between life and death for a lot of people. It is known that a high blood pressure can lead to stroke, heart disease and kidney troubles. If you are gaining weight, always feel tired, and hair and skin have lost their shine and texture, check your thyroid. The thyroid gland in the neck helps to control the level of energy, and regulate hormones. According to Fryhofer, the 40’s is the time when the thyroid disease can raise its ugly face. A thyroid function test can determine if the gland is functioning as it should be. Genetic conditions can cause an under-active thyroid, but the nasty complications can be avoided with medication. Human beings are social animals. Our mental and physical health is affected to a considerable extent by how much we get out and mingle with our fellow beings in a meaningful way. University of Chicago bio psychologist Martha McClintock, who led a study of 3,000 middle-aged and older people, found that social isolation and loneliness are problems in older people that can cause physiological complications such as cancer. The key here is to lead a socially active and meaningful life, such as doing voluntary work, or being part of a charity organization. It is crucial that older people have a peer group to discuss their common issues and concerns. Last but not the least, include an exercise regimen in your daily routine. It could be brisk walking, jogging, swimming or aerobic exercise. Make sure to check out the best earplug advice on internet so you know in which activities you can use earplugs. It could even be a hobby such as gardening. You just have to move your body, and get oxygen pumping into all its extremities. These tips can ensure a better life after you hit 40, both physically and psychologically. What are your views on taking care of yourself after 40?